Not every movie in the world relies on CGI to make it awesome. The directors, actors, and stuntmen sometimes perform miracles we never thought to be possible without CGI. Bright Side decided to make a list of scenes you might have expected to be the work of CGI geniuses. 1. Tom Cruise actually climbed Burj Khalifa for Mission: Impossible — Ghost Protocol. You think Burj Khalifa (2,722 ft) is really astounding? What’s more incredible is that Tom Cruise actually scaled it in the movie Mission: Impossible — Ghost Protocol. “When you’re on top and you look out, people are going to think it’s CG (computer-generated), and it’s not,” Gregg Smrz, the film’s stunt coordinator, told the LA Times. Well, using a green screen would have been a lot easier than swinging around on Burj Khalifa at a height of 1,700 ft.
2. The car roll scene in Casino Royale created a world record. Ever since Daniel Craig’s entry into the world of James Bond during the 2000s, the Bond franchise has created many records, including the biggest on-screen explosion. One of the first records created was in Craig’s first Bond film, Casino Royale. According to Guinness World Records, stuntman Adam Kirley did 7 cannon rolls in a single stunt, breaking the record for the highest number of cannon rolls. Well, it might not sound unbelievable to you, but catching a tray with all the items on it while holding a girl is not an easy feat. Instead of using CGI, the production design team used superglue on the tray to help Tobey maintain a hold on both the tray and MJ. After several tries, Tobey was able to do it successfully on the 156th take. Christopher Nolan is known for his mind-bending movies and lesser use of CGI. One of these movies is Inception, and it contains a cluster of practical effects. One specific scene in the movie is “The Paris Café” scene, in which pieces of debris explode one after another in slow motion. To make this work, the team utilized a series of air cannons while shooting the scene at 1,500 frames-per-second using specialized cameras. 5. The dinosaurs in Jurassic Park were not CGI. Even 24 years after the release of the film, the special effects in Jurassic Park are still unbeatable. The dinosaurs in the movie were built using animatronics, and some were guys in dinosaur suits. All this was possible with the efforts of the special effects maestro Stan Winston, an Academy Award winner. 6. Eternal Sunshine of the Spotless Mind is apparently free of CGI. Jim Carrey attempts to get rid of the memories of his girlfriend in one of the most compelling pieces of acting one could ever expect from the comic actor in Eternal Sunshine of the Spotless Mind. Not only that, but the practical use of special effects in the movie is also remarkable. To create 2 versions of Joel Barish (played by Jim Carrey), one in the memory and the other watching the memories, director Michel Gondry made Jim run back and forth in one scene. A little touch of some quick transitions later and the perfect CGI-free special effect is ready to win hearts. 7. The 18-wheeler flip in The Dark Knight was real. We know it’s not easy to digest the fact that there was no CGI involved in The Dark Knight. But it’s true. 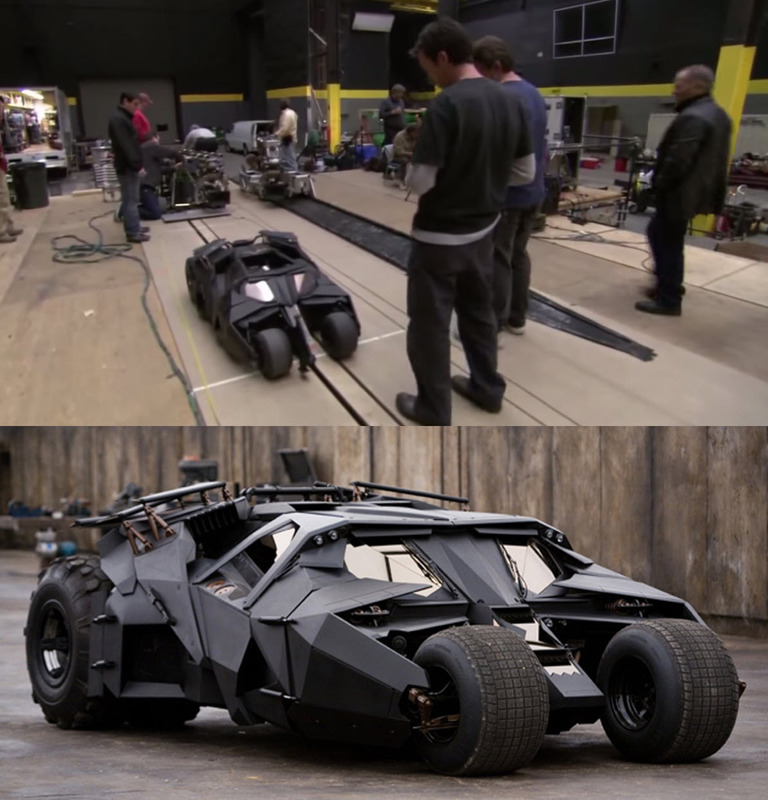 Nolan and his practical special effects won us over once again when the Batmobile crashed into a garbage truck. Nolan used a miniature scaled set and vehicles to pull off the effect. Even the 18-wheeler flip was a real shot on the streets of downtown Chicago using a catapulting ram built into the semi to flip it over. After shooting The Hobbit with a 3D camera at 48 frames-per-second, Peter Jackson had expected an overwhelmingly positive response from audiences. But viewers still preferred The Lord of the Rings. Although the Rings trilogy has an ample amount of CGI, the Orcs and other creatures in the movie are just full body makeup and prosthetics. We’re not denying the fact that Iron Man is full of CGI, but one of the most remembered scenes of the movie was Pepper Pots pulling the arc reactor out of Tony’s prosthetic chest. We guess that was the only non-CGI scene in the movie because we all know just how much Marvel Studios loves CGI. Behind-the-scenes footage revealed that the chest was a prop and that most of Tony Stark’s lab was real. 10. The asteroids in The Empire Strikes Back are just a potato and a shoe. In Episode V — The Empire Strikes Back of the Star War franchise, a shoe and a potato were used as asteroids. According to trivia on IMDb, one of the SFX team members threw a shoe because George Lucas asked them to do multiple retakes. The potato asteroid is the third one, and the shoe is the fourth as Solo gets them over an asteroid to get rid of their pursuers. Bonus: Nolan planted 500 acres of corn for Interstellar. Christopher Nolan planted 500 acres of corn for the movie Interstellar. After the completion of filming, he sold the corn and retrieved the budget along with a profit. The idea was copied from Zack Snyder. Snyder had grown a couple of acres of corn for his movie Man of Steel. Nolan pushed it a little further and planted 500 acres of corn. On one side, he relies on CGI for creating space scenes; on the other side, he uses a real farm for the corn fields. So what do you think about our top 10 compilation? Feel free to leave a comment, and don’t forget to share it.